• ‘Energy and Urbanisation in Uganda: Context report and literature review’ (Mann, Namukisa and Ndibwami 2014). • Urban Institutional Context: What are the relevant government departments and urban administrative units? • Energy Context: What is the overall urban energy situation? • Activities: What relevant plans are in place or approaches have been tried regarding sustainable urban energy, and to what effect? • Lessons for SAMSET: What are appropriate approaches going forward around sustainable energy transitions at local government level? Within these sections, material is organised when possible by key themes. This synthesis paper does not include the entirety of each country-level paper, but instead aims to focus on key themes and issues. The purpose of the synthesis is to enable comparison of key factors between the countries, and to form a foundation for any knowledge sharing activities within the SAMSET project. 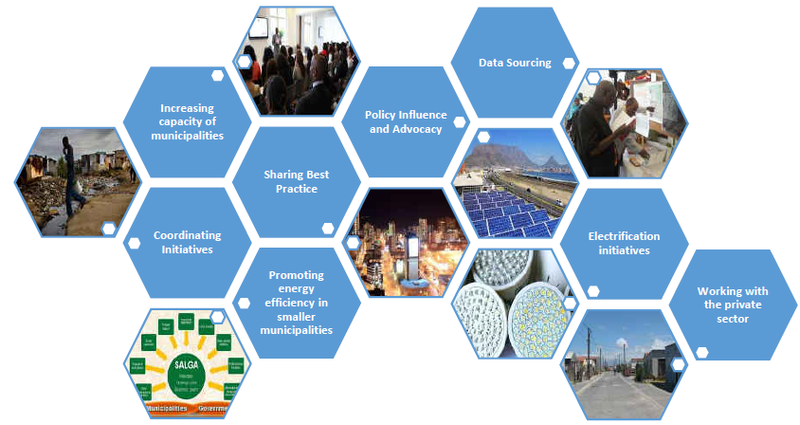 By having a contextual overview it is hoped that stakeholders will be enabled to position new information and co-construct ideas about clean energy transitions. The paper starts by describing the mandates of key levels of authority, followed by a landscape view of the energy situation. It attempts to outline the plans of key stakeholders on energy transitions in urban settings, and concludes with some common observations and lessons that may be relevant to the next stages of SAMSET.